Sometimes, you need to look at things from an unexpected angle. So, we thought instead of talking about how you can protect your teeth, we thought we’d discuss the best ways to ruin them. Yep, that’s right. The Glenroy Dental Group is going to share with you some of the top most enamel­ shattering, tooth-crushing habits you might have. In many cases you might not even know these habits are damaging. You might have thought they were benign habits, or even best practices. 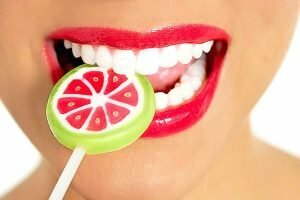 Good Dental Habits Go Bad? Brushing too soon. Research demonstrates that brushing too soon after meals and drinks, especially those that are acidic, can do more harm than good. In one study, a group of volunteers were followed for three weeks as researchers examined the impact of brushing on their teeth after they drank diet soda. The scientists found an increase in dentin loss when brushing in the 20 minutes after drinking soda. When brushing took place 30 or 60 minutes afterwards there was considerably less wear. Brushing can actually push the acid deeper into the enamel and the dentin, which harms your teeth. 2. Rough brushing. While tooth brushing breaks down plaque and gets rid of bacteria, it’s possible to have too much of a good thing. You should be brushing your teeth every morning and night, but toothbrush abrasion can be a serious dental concern that leads to sensitive teeth and receding gums. When your gum line recedes, the roots of your teeth are exposed. They are sensitive and prone to infection when left unprotected. Rough brushing wears down the enamel of the teeth, as well, which makes them more vulnerable to decay. Excessive flossing. Excessive flossing is ineffective and can actually cause damage and irritation to sensitive gum tissue. It’s important to be gentle when flossing. Many people apply a lot of pressure or use a vigorous sawing motion, thinking this will get their teeth clean. But this kind of forceful flossing can lead to bleeding gums and worse. Using your teeth as things other than teeth. Teeth are for smiling, eating and biting, don’t use them as a bottle opener or a tool! People use them for things that seem safe, like opening a chip packet. But this kind of behaviour can chip teeth, so use tools instead. Chewing non-food items. Do not chew on objects such as pen caps, pencils or pens out of boredom or if you are nervous or stressed out. Chewing on objects that are not intended for consumption will cause excess wear on teeth. It also has the potential to damage existing dental work. If you really have to chew something, buy some sugar-free gum. Ice is not a food item! Chewing on ice can cause gum injury, microscopic fractures in enamel (which can become larger fractures), and even broken teeth. Chewing ice is particularly dangerous for those who have braces or have just had dental work done. And for those with sensitive teeth, chewing ice will most likely increase, rather than numb, pain. Cardio care. While cardio is good for your health, and generally good for your dental health, it can also bring problems. That’s right: A new study published in the Scandinavian Journal of Medicine & Science in Sports found that athletes have more eroded tooth enamel than those who are sedentary. Scientists discovered that athletes’ saliva production decreases, causing mouths to become drier and saliva alkalinity to increase, which is thought to increase the chance of developing cavities. So if you work out, also work on good dental habits! Weight lifting. Lifting weights can also reduce saliva, but the really teeth-damaging effect of carrying heavy objects is teeth-clenching. We naturally clench the teeth when lifting because it helps us exert more energy. If you’re a weight lifter or carrying heavy objects is part of your job, you should consider using a mouth-guard. Contact sports. While it was great to see Australian boxer Jeff Horn win the WBO Welterweight Title, it was also great to see him smile afterwards. Horn wears a mouth-guard to protect his teeth, as you also should if you indulge in any contact sports!